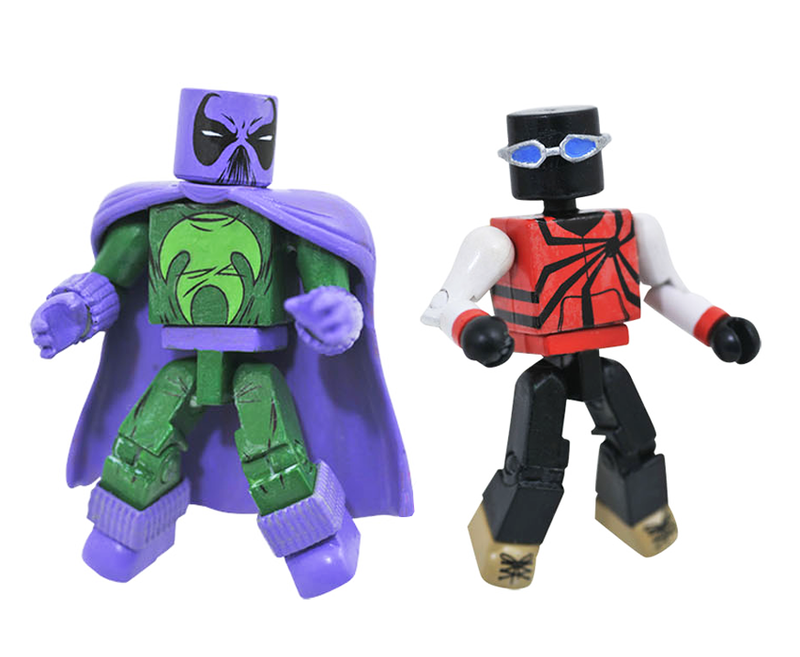 The record-breaking 77th series of Marvel Minimates is here, and it's dedicated to the friends and foes of the Spectacular Spider-Man! Four two-packs feature Black Costume Spider-Man with Kraven the Hunter, Miles Morales with Prowler, Mysterio with Hydro-Man, and Vulture with Molten Man. Plus, if you get all four sets, you get the parts to build the Spider-Slayer! 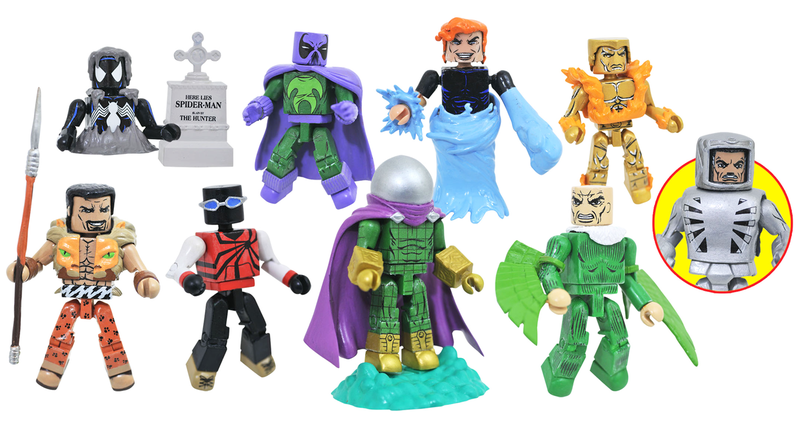 Each 2" Minimates mini-figure features fully interchangeable parts and accessories. "This is a dream wave for a lot of people, with new releases like Prowler and Molten Man, and improved releases of old, rare Minimates like Kraven, Vulture, and Hydro-Man. I am still geeking out about the Spider Slayer as the build-a-figure! He has been on my to-be-customized list for years." 899 Lukers will be rewarded to you when you buy this item.